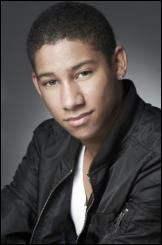 FORMER St Marys dancing machine Keiynan Lonsdale has been out of the area for little more than a year, and he’s already found Fame. Lonsdale, now 18, scored a role in hit musical Fame as part of the ensemble cast and understudy for the lead role of Tyrone. Since April he’s performed in about 115 shows in Melbourne and Brisbane including three times as the lead. He will take to the stage at the Capitol Theatre for the Sydney leg of Fame from Saturday, October 9. Lonsdale said he was looking forward to performing in his home town. Lonsdale left St Marys more than a year ago to be closer to school in Moore Park (he attended the prestigious Brent Street Talent Development College). Before his graduation last year, he balanced studies with a music career as a member of Panjo 5. Though the group broke up last year, Lonsdale said the experience was phenomenal. “It was amazing because that’s what I want to do (make music),” he said. He said the highlights of his time with the group were flying to Los Angeles to record with producers 1500 or Nothing and supporting Omarion and Fatman Scoop during their Winter Jam 2009 tour. 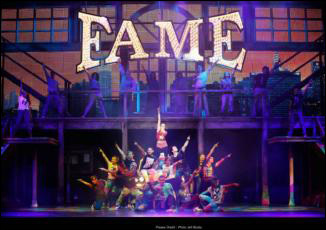 Fame is Lonsdale’s first musical. He said it demanded “non-stop commitment” even when he wasn’t playing the lead. “It’s a pretty big dance show - it goes for about 2 1/2 hours and we (the ensemble dancers) are on stage for most of it,” he said. He said as well as eight shows a week he had to spend two days rehearsing the role of Tyrone. Although he has left St Marys, he still has family and friends here. Two of his brothers who still live here recently flew to Brisbane to see him on stage. Lonsdale said it was a thrill to perform in front of family and he is looking forward to Sydney.